Make your vehicle’s presence felt even more on roads, by adding your distinct style to it from products at our dealership. From custom grilles and hoods to spoilers and roof racks – no matter what you want; you name it and we have it at our Chicago INFINITI accessories department. Using genuine products is essential for the performance of your vehicle. So we deal only in genuine INFINITI accessories at our Chicago store. Rest assured that the quality standard of your vehicle will be maintained even after installing them. 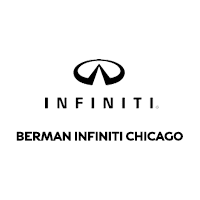 BERMAN INFINITI CHICAGO is a certified retailer, so all products we sell are covered by warranty. Our technicians will help you select and install these components. Want to check out our inventory yourself? Visit our Chicago INFINITI accessories department today. You won’t be disappointed! We look forward to assisting you at our Chicago INFINITI accessory store. We would be glad to help you add style and also help perform your vehicle better.